When it comes to real estate, it’s a seller’s market throughout the whole country. But where sellers benefit, do buyers suffer? This is the topic Laura Knoy recently discussed with her guests on The Exchange, a podcast from New Hampshire Public Radio. Knoy met with Carrie DiGeorge – Sales manager at Envoy Mortgage, Rachel Eames – President of the New Hampshire Association of Realtors, and Russ Thibeault – President of Applied Economic Research. 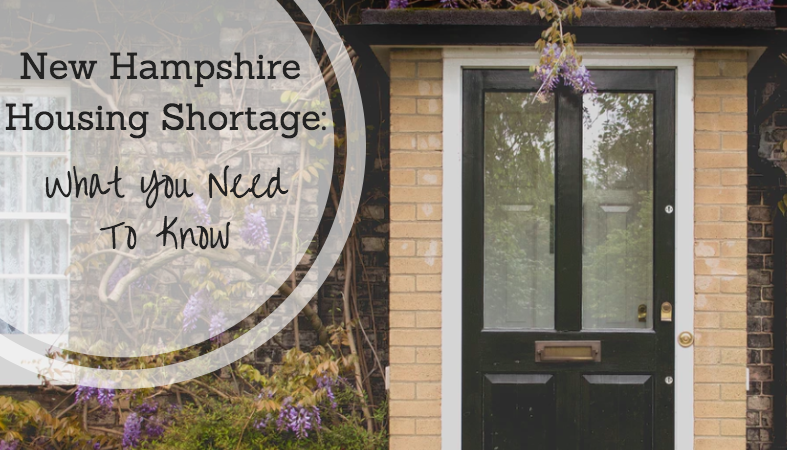 If you’re a New Hampshire seller, you’re in a good spot. Many sellers are receiving offers well above their asking price. But the reason for that is a statewide housing shortage, and it’s indicative of more serious problems brewing. According to Thibeault, available houses in the state are down to a three month inventory. That means if no one else listed their home right now, all the houses on the market would be rented or bought within three months. That number should be around 6-12 months to reflect a stable real estate market. This is bad news for renters, too. In Merrimack County (and many other state counties), the rental vacancy rate is less than 2 percent, which drives rent prices up and makes finding affordable housing a challenge. Rents are so high that it makes it difficult for renters to save for a down payment, so they stay where they are. What’s going on? First of all, the older generations are opening their homes to adult children or other relatives more often, so they’re reluctant to downsize. But if they do decide to downsize, they tend to be looking for the same kinds of properties that the younger generation just starting out is hunting for. So not only are there less properties on the market, but the competition for affordable housing is particularly fierce. New construction has also taken a hit. According to Eames, municipalities and zoning make it very hard on builders. New Hampshire lost many of its builders to retirement or moving out of state around 2008 and 2009, and the ones still around don’t want to tackle the regulations needed to build new properties. The New Hampshire housing shortage problem goes beyond frustration for house hunters and renters. According to Eames, this housing shortage also spells trouble for the state’s economy. For example, with less affordable housing on the market, it’s harder for companies to fill jobs and bring in new residents. Eames said when houses do come on the market, they tend to be larger properties that boomers are downsizing from. There is a serious lack of starter homes in the state. Interest rates are also very likely to increase soon, and that adds to the issue. An interest rate hike would have a significant effect on housing affordability. Thibeault said there is no quick fix for this problem, but it has to be a multifaceted approach. Some ideas include more balanced development controls, workforce housing programs in different parts of the state, and the Accessory Dwelling Unit law which went into effect on June 1, 2017. This law allows owners to rent out part of a single family home. But the bottom line is it’s a highly complicated issue that is going to take time to sort out.